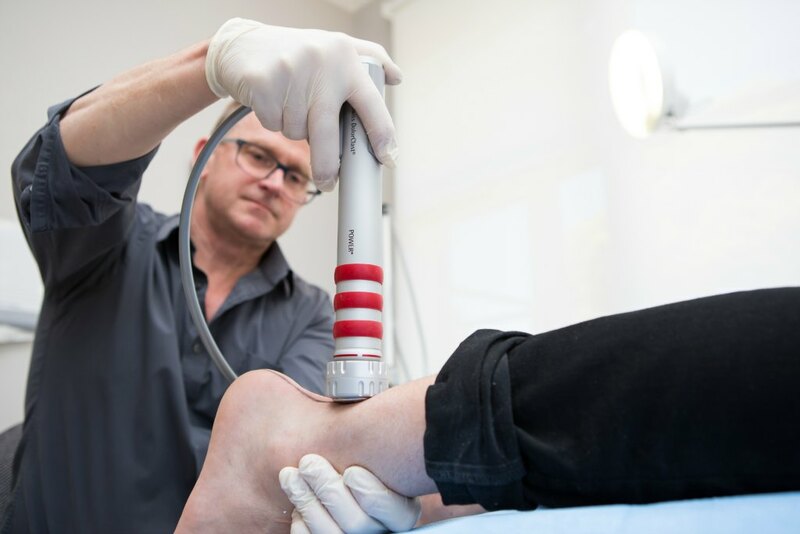 Podiatry on Pako is proud to offer the latest technology in radial shockwave therapy for chronic heel pain and other tendinopathies with high success rates of 80 per cent, with EMS Swiss dolorcast technology available now in our Geelong podiatry clinic for all patients. Discomfort, aches and pains – not being able to enjoy life to the fullest is a real pain – quite literally. Millions of people suffer from pain and if you are one of them, you know what it means. Chronic pain often becomes unbearable. It affects the performance of body and mind, takes away the joy and lessens your quality of life. High-energy acoustic waves penetrate the skin, inducing an immediate analgesic effect and increasing circulation to facilitate the repair process. 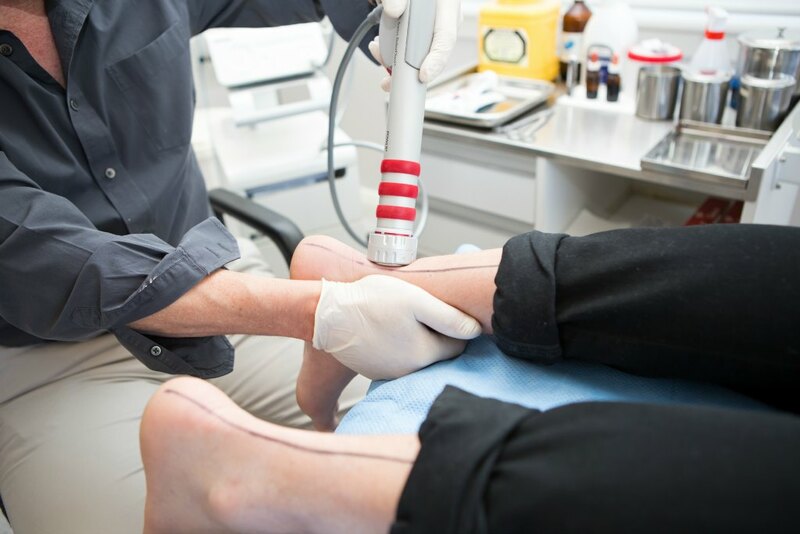 Generally we recommend three shockwave treatments a few days apart, however we will undertake an assessment to determine the best course of action for your individual needs. Heel pain is a “catch-all term” for any condition that can occur around the heel. The most common of these conditions is known as plantar fasciitis, where the ligament extending from the base of the toes to the heel bone becomes strained. 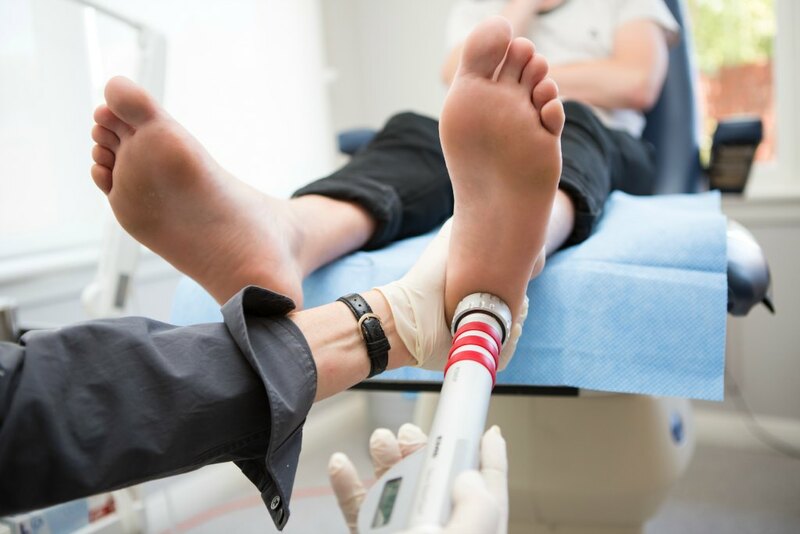 For more information on shockwave treatment for plantar fasciitis or other conditions, please contact Podiatry on Pako. We also offer specialised toenail fungus laser treatment in Geelong.